Our aim: to bring equilibrium to our mind, body and spirit so that we can evolve into the complete person we were intended to be. Nature’s EQ was created after years of research, studies and experience with different naturopathic techniques worldwide by its founder, Silvia Candamil Neira. Silvia studied BSc (Hons) Complementary Medicine at the University of Westminster in London, where she specialized in the Naturopathic pathway. Additionally, she embarked on various post graduate studies in Higher Education, Biodynamic Craniosacral Therapy, Iridology, Kinesiology and Yoga amongst other things. Her experience includes being a tutor at Westminster University for their Naturopathic degree, while supervising the students at the University Polyclinic and running the Naturopathic pathway. In addition to being a tutor for a Biodynamic Craniosacral T. training, she had published a number of articles on Craniosacral T. in the UK and treated many highly acclaimed professionals and athletes. Silvia was a highly acclaimed performer as a dancer, singer and actress having performed at the West End theatres in London and accomplishing a record deal with BMG Asia Pacific. “I realised often careers are made or ended on the back of the expression of our own health, as supposed to just talent, and this initiated an on-going research to find better therapeutic techniques for demanding professionals and people who appreciate good health”. As part of her research to become and stay as strong, sharp, energetic and painless from the high demands of her profession, Silvia embraced and studied a number of techniques to keep her at the top of her peak. 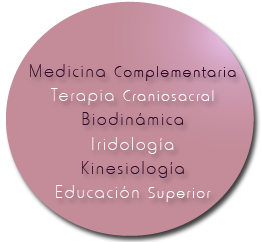 She served as the International Vice-President of the Naturopaths in Spain under OCN FENACO. 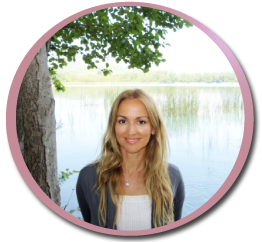 Based on her vast experience and expertise, all her extensive research, study, practice and global network of like minded people, it has naturally led her to open her own practice in Madrid to provide the highest professional standard and care within Naturopathy in the region. In consistency with the Centre’s ethos, our incredible team of professionals excels in their respective techniques and in the quest for constant betterment and improvement of the self and their users.